The Green Hotel is set amidst landscaped gardens. 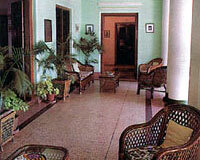 The Green Hotel is a luxury heritage hotel in Mysore. Best known as Chittaranjan Palace, which was home of Mysore’s princesses, the hotel offers a peaceful environment and comfortable stay. It has been selected as one of the "World's Best Ideas" by the Institute of Social Inventions, London. 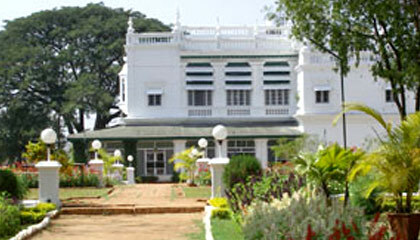 The hotel has won the Mysore Horticultural Society first prize for the best garden, and has received an award from the British Guild of Travel Writers Tourism Project. The Green Hotel is a model of sustainable tourism, and its profits are distributed to charitable and environmental projects in India. 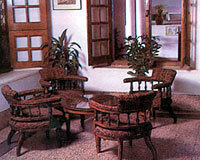 The hotel has a total of 31 rooms, all with modern en-suite bathrooms. 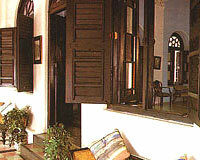 The rooms are categorized as The Palace Room, Rose Room, Marigold Suite, Honeymoon Suite, Writer’s Room, Bollywood Deluxe and Deluxe Rooms. 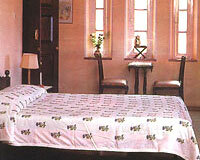 The rooms don’t have air-conditioning, TV or generators because of environment friendly policies. 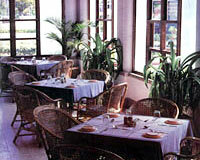 The Restaurant: A place to relish a variety of veg and non-veg delicacies.